Addition. Subtraction. Multiplication. Division. Basic arithmetic with a twist. The rules are simple. You have to put +, - , x, or ÷ signs in the blank boxes so that the number sentences work. 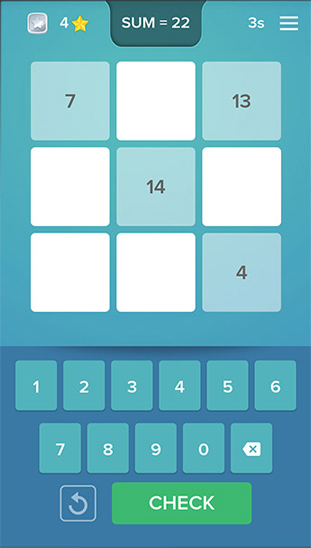 You need a bit of logic and a bit of calculation to solve each puzzle. Math game blending addition subtraction with logic. Helps brain development. The rules are simple. Some numbers are already filled-in in a 3x3 square. You have to fill in the rest of the numbers so that the sum is the same across each row and each column. An early introduction to algebraic thinking – these sums ask children to derive the relationship between pairs of numbers. The right hand side numbers are related to the left hand side numbers. Observe the three pairs of numbers carefully and find the relationship. 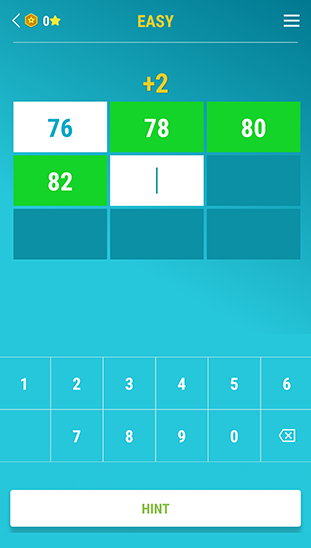 Number puzzle for primary level kids. Hones calculation and logical reasoning. The rules are simple for a child to understand. Some numbers are already filled-in. You have to fill in the rest of the numbers so that each number is equal to the sum of two numbers immediately below it. 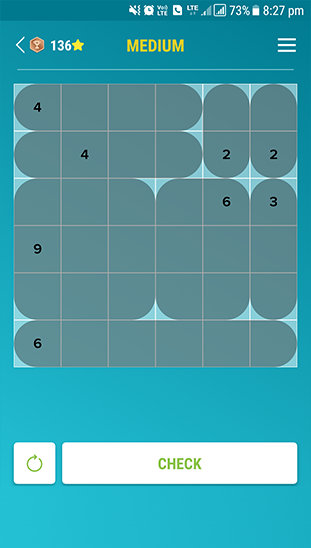 If you like Sudoku, Kenken or Addition Kakuro, then you will surely love Multiplication Kakuro! 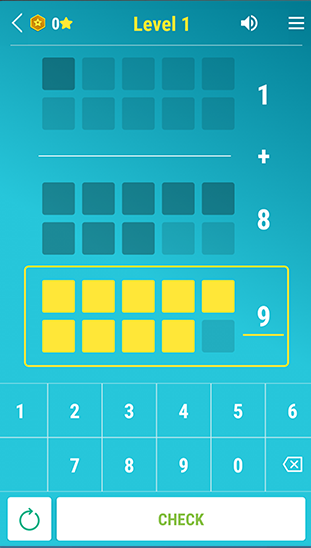 This is currently the only Multiplication Kakuro app in the play store. Makes multiplication-division practice fun. Great for classroom use. Sudoku type logic. 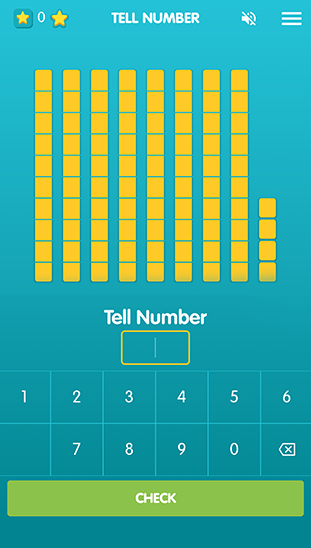 Three activities – 'Tell Number', 'Make Number', and 'Big or Small' are aimed at strengthening your 3-6 year old child’s number concepts by familiarising them with the place-value based number system. 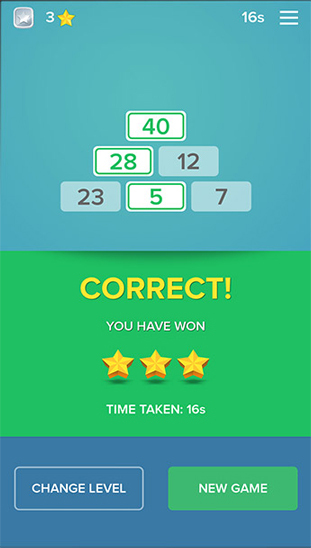 Useful for teaching basic addition subtraction using virtual place value system. For 4-6 year olds. 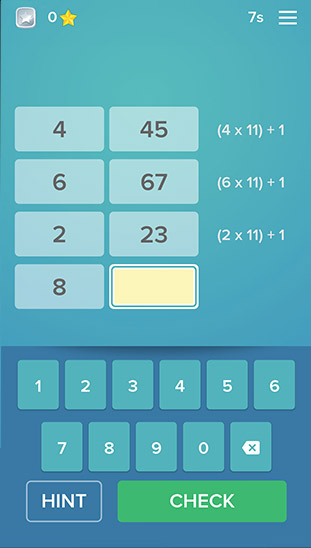 In this app, students can practice skip counting (repeated addition of a number to a given start number). This can be helpful for learning multiplication later on (after all, multiplication table of 4 is nothing but repeated addition of 4, starting with 4). Read sentences using most frequently occurring phonetic and sight words. 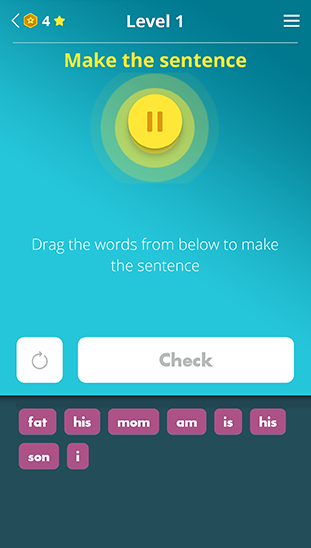 The app uses 500 most frequently occurring phonetic and sight words, and sentences constructed from those words. Aim is to make reading of the basic words fast and automatic. 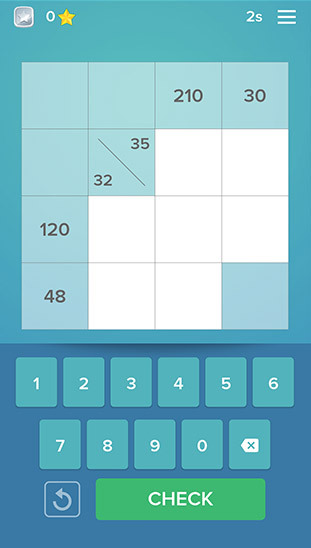 Japanese puzzle that improves that your logical and spatial reasoning skills. 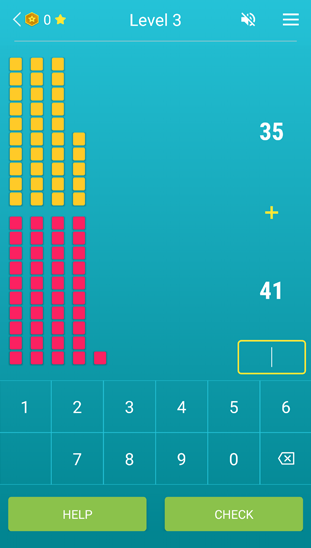 Our Nonogram app is free and randomly generates an unlimited number of Nonograms, rather than most apps in the Play Store that have only pre-fed designs. Japanese puzzle that improves that your logical and spatial reasoning skills. 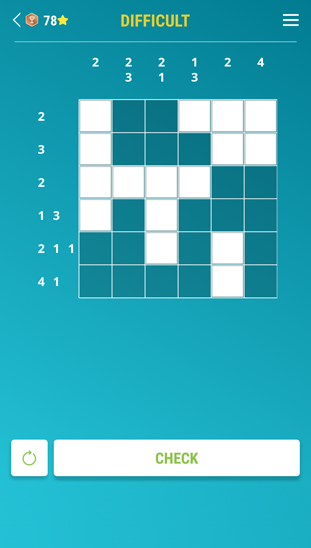 The Shikaku app is free and randomly generates an unlimited number of puzzles. Teachbasix Technologies create educational software and applications to enhance basic skills among school-going children. 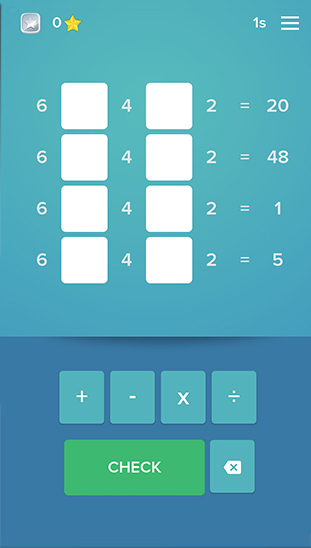 Currently, we have five math apps to enhance math skills and logical reasoning abilities (available in Google play store and the App store) and five apps for early reading and math for pre-primary children (available in Google play store). 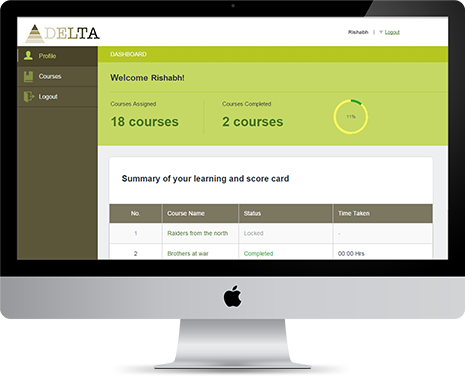 Teachbasix also has a unique browser-based platform independent graded reading software (Delta), which improves reading proficiency in primary and middle school children. © Teachbasix Technologies LLP. All Rights Reserved.